The No More Excuses Diet combines short term goals with healthy habit-forming behaviors to create permanent lifestyle changes. When it comes to controlling your weight, a balanced diet is key. 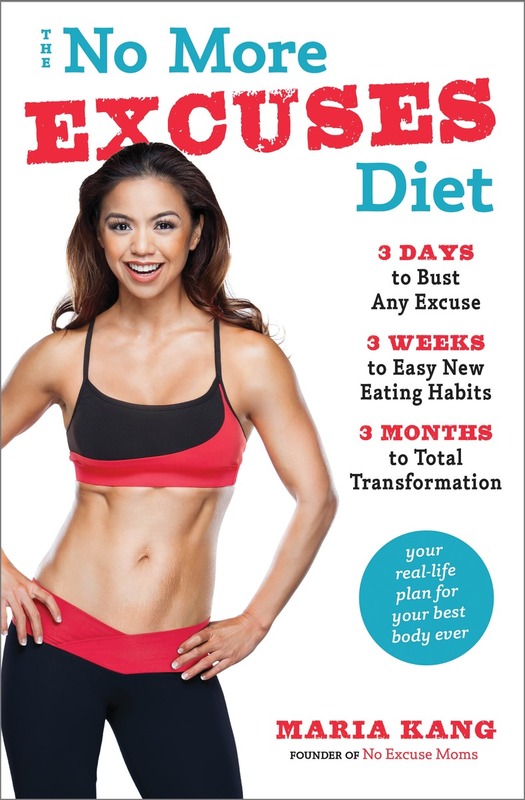 Unlike many programs that cut out an entire food group or have strict restrictions, The No More Excuses Diet employs an eating program of 30% carbs, 30% protein, 30% fats, and includes a 10% flexible portion that can be customized depending on your goals— whether you need extra protein for building muscles or just a sugary treat at the end of the day. You don’t have to lose the foods you love! Fitness is a necessary part of healthy living, and Maria has designed a completely customizable workout guide to incorporate exercise into even the busiest life. 15 minutes is all it takes to start shedding pounds and getting toned, and The No More Excuses Diet comes with over 7 weeks of illustrated exercises designed to build strength, flexibility, endurance, and to shed fat. This program is not about making you feel guilty for how you look, or ashamed of the choices you’ve made; it is about getting you to a place where you feel in control of your life, love your body, and are prioritizing health. And in order to feel that way, you have to bust through the excuses that might stand between you and your best body. Packed with meal plans, grocery lists, lots of encouragement and a clear plan of action, The No More Excuses Diet will empower you to bust through the excuses that hold them back and start living a life you’ll love.